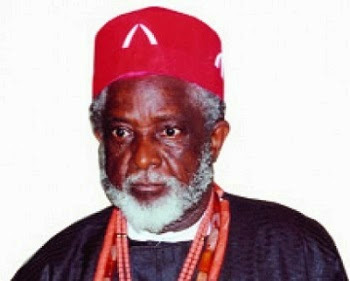 These are not good times for musicologist and actor, Igwe Laz Ekwueme, who is the paramount ruler of Oko Kingdom in Anambra State. The traditional ruler has been forced to flee for his life after rioting residents of Oko set his palace ablaze. 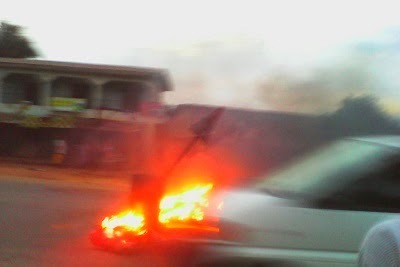 Trouble erupted in his kingdom last Saturday after a masquerade was shot dead in Oko by security officers. The Igwe had earlier banned masquerades from being paraded publicly during the Oko Okposi festival after a masquerade flogged a female student to death. On the the eve of the Okposi Oko festival, last Saturday, some indigenes of Oko flouted the Igwe's order and publicly paraded a masquerade. According to reports, the Igwe invited security officers to disband the masquerade procession. Unfortunately one of the security officers shot dead a masquerade in the process. 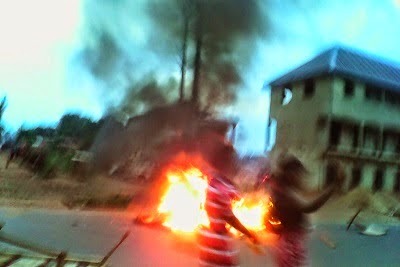 Following the death of the masquerade, angry residents of Oko besieged the Igwe's palace and set it ablaze, destroying a lot of valuable property along the way. We pray God gives the traditional ruler the wisdom to resolve this dangerous situation.